The Eureopean Network Against Racism (ENAR) together with 20 other organisations wrote an open letter to First Vice-President Timmermans, Commissioner Jourová, Director-General Tina Astola with important recommendations to ensure the European Commission Coordinator on anti-Muslim hatred has a clear mandate and sufficient resources. On behalf of the signatories part of an informal European coalition against Islamophobia, a platform of anti-racist/human rights/faith-based NGOs combatting anti-Muslim racism and hatred, we are writing to ask the European Commission to provide its Coordinator on anti-Muslim hatred with a clear human rights-based mandate and meaningful resources. The European Commission’s decision to appoint a new coordinator is an opportunity to make this happen. 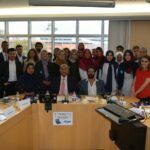 As expressed on several occasions by the coalition, the mandate and the approach of the coordinator has serious gaps to tackle the issue effectively, to ensure meaningful participation of Muslim communities and anti-racism NGOs, and to develop policies to combat Islamophobia. The appointment of one dedicated person does not replace strong political will, actions and effective policies. 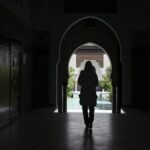 In addition, the coordinator has conflated the fight against Islamophobia, anti-blasphemy laws, Islamism and counter-terrorism in a number of social media posts and declarations. In a context of generalised suspicion of Muslims, EU policy makers advancing equality and non-discrimination must see Muslims as human beings who enjoy fundamental rights as any other person. 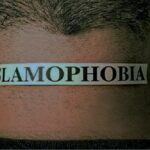 The fight against Islamophobia is about politically addressing structural forms of discrimination and racism affecting Muslims or those perceived as such. ● Profile of the coordinator. Ensure that the coordinator is appointed based on relevant skills and competences in order to work meaningfully on the issue of Islamophobia as a form of racism. This will also facilitate the relationship and trust with NGOs who have extensive knowledge about the issue and its manifestations. It would be desirable to appoint a coordinator from the affected communities. ● Clear mandate. Clarify what the role of the coordinator entails in terms of representation, official communication and actions that can be undertaken, also defining the remit of issues to be covered. ● Communication and consultation process. Transparency is key to build trust with civil society organisations who are on the ground in direct relation with communities. Communication and consultation processes need to be clarified to ensure meaningful participation of civil society. ● Concrete objectives and action plan. The role of the coordinator cannot only be about listening and bringing issues to the political level without any accountability. The coordinator needs to set concrete objectives to achieve during their mandate and work on an action plan with evaluation processes.